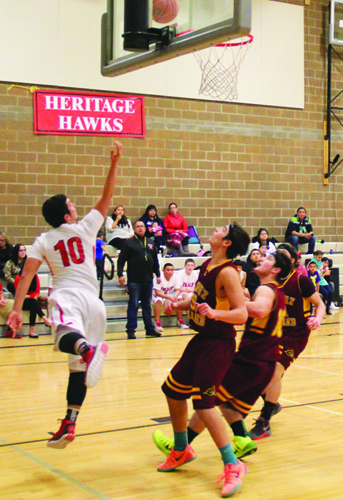 The Tulalip Heritage Lady Hawks (0-9) hosted the Lopez Island Lobos (4-2) on Tuesday, January 6. This would be the second meeting of the season for these two teams; the first was played at Lopez Island where the Lobos won 56-20. From the opening possessions it was apparent that the Lady Hawks would be in for a very challenging game. The Lobos were applying a full court defense and double teaming guard Michelle Iukes, the team’s offensive leader, whenever she would bring up the ball. Moving the ball with accuracy when they are going against heavy ball pressure has been a season long struggle for the Lady Hawks. For what seemed like the entire 1st quarter the Lady Hawks were under duress trying to move the ball against the Lobos press defense. When the quarter came to an end the Lady Hawks had committed 15 turnovers and were trailing 0-20. In the 2nd quarter the Lobos ball pressure continued to frustrate the Lady Hawks. The turnovers continued to come as errant passes were resulting in easy buckets for the Lobos. Coach Cyrus “Bubba” Fryberg called a timeout to tell his players to focus on executing good solid, chest passes and that the offense would immediately get better once they started making better passes. Shortly thereafter guard Myrna Red Leaf scored the first Lady Hawks bucket of the game, with an assist from center Nina Fryberg. The passes were improving but the quick handed Lobos guards were still finding ways to come up with steals, forcing 10 Lady Hawk turnovers in the quarter. Going into halftime the Lady Hawks trailed 2-37. During the halftime intermission the Lady Hawks were urged to not pay attention to the scoreboard. Even though they were trailing the focus would be getting better as a team and making better passes. Defensively they were urged to hustle, hustle, and hustle. The 3rd quarter was a total team effort by the Lady Hawks that displayed their desire to improve as a team and not to focus on the scoreboard. They hustled back on every time they were on defense, they got their most rebounds of the game, and they made sure every Lobos’ shot was a contested one. Offensively, the Lady Hawks cleaned up on their passing by making straight-line passes and making sure each other were in good position before making a pass. By doing so the Lady Hawks cut their turnovers down and had much more time to setup their offense. With the crowd and their coach urging them the offense started to come. Forward Mikaylee Pablo assisted on fellow forward Jaylin Rivera’s basket to give the Lady Hawks their second made field goal. Then, with 0:13 to go in the quarter guard Michelle Iukes pulled up and hit a 3-pointer. Going into the 4th quarter the Lady Hawks trailed 7-41, but with their effort on both sides of the ball they had managed to win the 3rd quarter by outscoring the Lobos 5-4. In the final quarter the Lobos caught fire and the Lady Hawks weren’t able to carry over their defense intensity from the 3rd quarter. The Lobos went on a 20-0 run to put the game well out of reach, but just as they have done all season, the Lady Hawks continued to fight until the end. In the final thirty seconds the Lady Hawks nearly doubled their point total when first Michelle scored a 3-pointer and then on the very next possession, Myrna pulled up from just inside half-court and swished a 3-pointer to beat the final game buzzer. 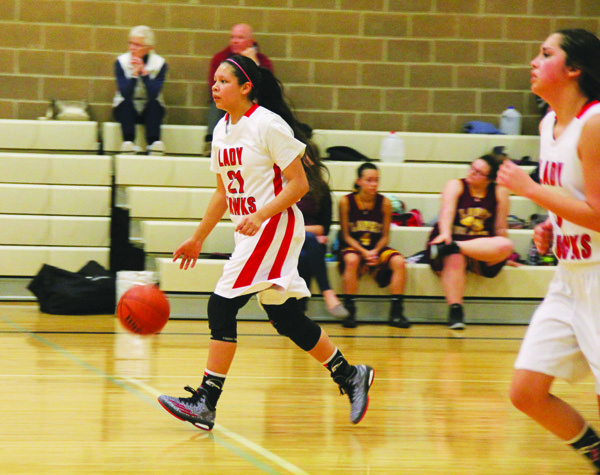 The Lady Hawks lost 13-61, but showed a winner’s mentality by playing until the final buzzer. Lopez Island − Two aging piers, a bit of history and a lot of fun. 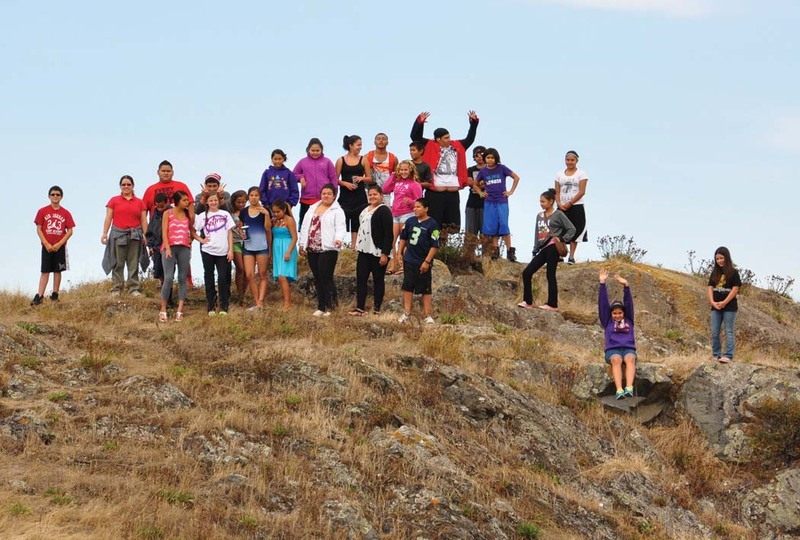 Tulalip kids paid a visit to the tribes’ property at MacKaye Harbor on Thursday, August 22. Tulalip Youth Services offers a plethora of activities during the summer to occupy kids, including movie premiers, whirly ball, and trips to Wildwaves. This year, youth services wanted to do something different. He and Ron Iukes reminisced about fishing and staying on the docks during the summer. Tulalip fishermen used to fish the San Juan Islands more frequently, which led to the purchase of land. Today, four tracts of land are owned by Tulalip, the first purchased in 1986, two in 1993, and one in 2005, according to the San Juan County Assessor. They still fish there today, though not as often as the decades leading in to the 1980s and early 1990s. The tribe did plan to renovate the docks, and began work on one in recent years, but the project has not progressed since.